This prayer pays homage to Medicine Buddha whom is also known as the Healing Master of Lapis Lazuli Radiance, with a distinctive colour of Deep Blue body. 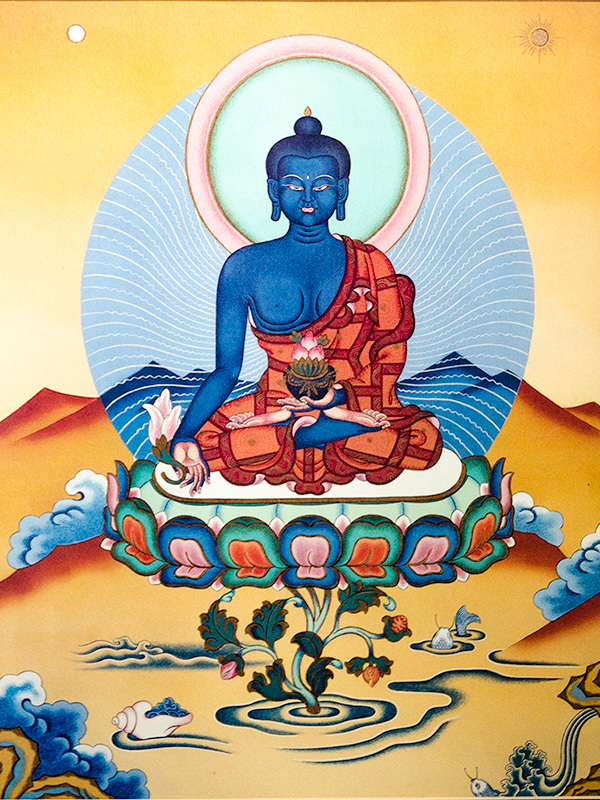 Medicine Buddha is also known as Bhaisajya Guru, the manifestation of the healing energy of all enlightened beings. The practice is performed on the 8th lunar day of the month, and prayers are offered to request the blessing of Medicine Buddha to heal diseases, as well as overcome obstacles, to achieve temporary and ultimate happiness for all.